This child lives in an AIDS-affected area. In Africa, the disease has impacted the entire continent, creating a generation of orphans and vulnerable children. God can use you to help ease the pain of a child in desperate need. 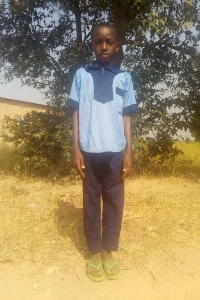 Tell a friend or family member about this child who is waiting for a sponsor.